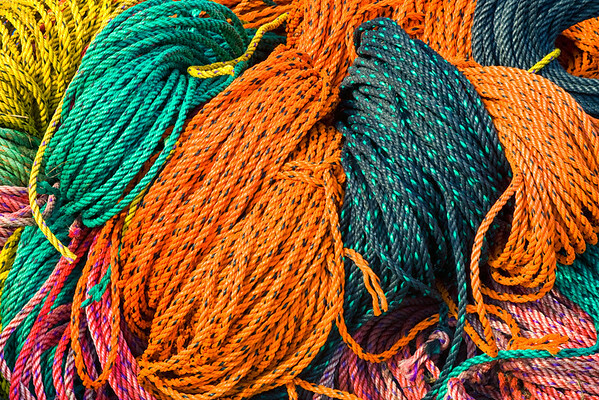 I found a pile of brilliantly colored ropes on the wharf at Shaw's in New Harbor, Maine. As a landscape photographer, I don't usually take this kind of photo. There isn't a particular subject within the frame. I just like the variety of color.